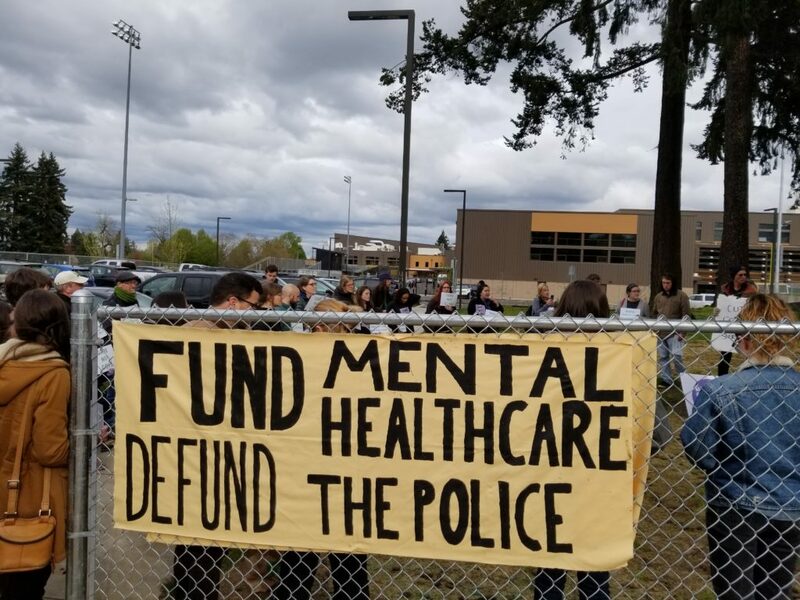 Portland continues to anchor Care Not Cops, a Mental Health Care Not Policing campaign that is fighting for a reduction in the 2018-2019 Portland Police Bureau budget. 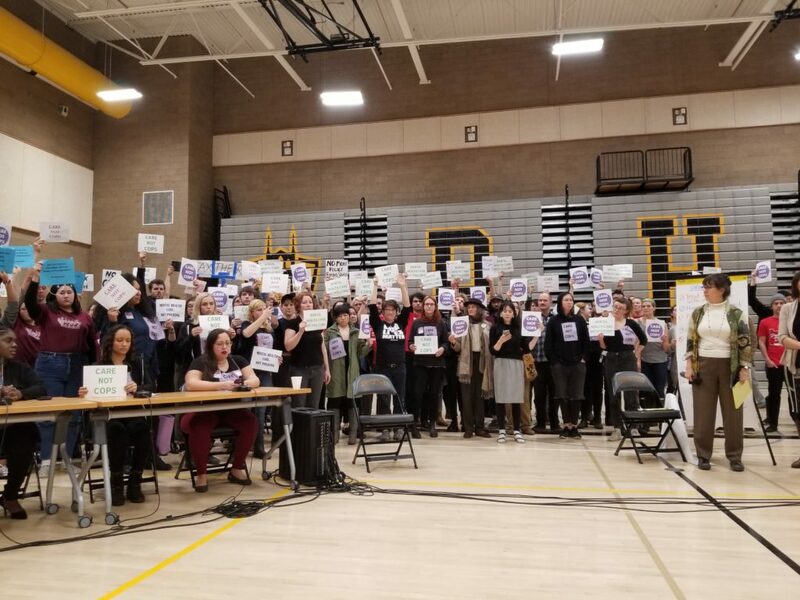 We are demanding that mental health care be centered in the hands of community, and are calling for a reduction in police spending towards ultimately disarming and defunding the police. 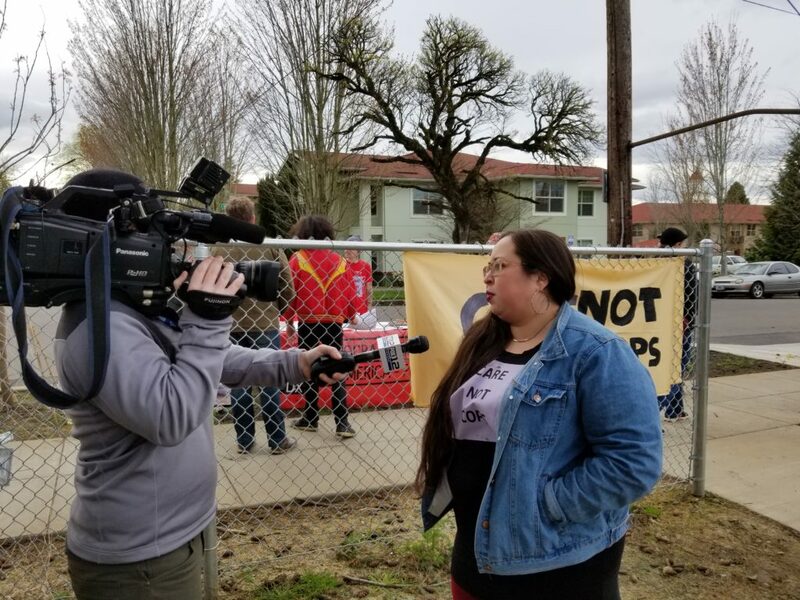 We unequivocally reject the Portland Police request for a budget increase of $12.7 million in order to hire for 93 new police positions! Read our 2018 budget analysis here. A May 17th, 2018 update on this work can be found here. 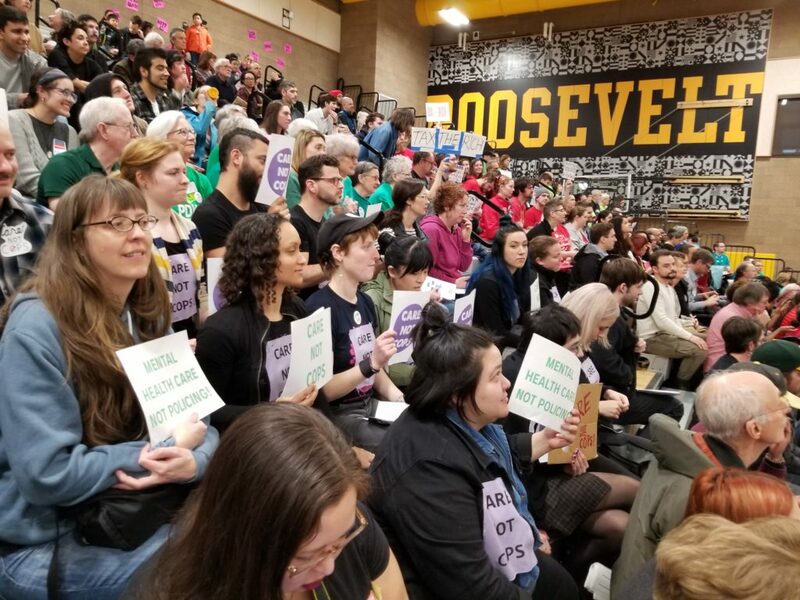 Join Critical Resistance Portland for our monthly Mail Program! Each month we gather as a mail crew and volunteer team to host an open letter writing + work party to connect with folks looking to get involved. We receive anywhere from 5-25 letters a month and we offer political education, resource information, and books and articles Folks can help out by writing letters to people in OR/WA prisons, typing notes or archiving correspondence, as well as other things that help our chapter running. This is the best time to connect with chapter members and learn more about upcoming projects, events and build coalitions among accomplices for abolition. Find us on the 3rd Mondays of the month at 5:30pm. Contact us or find us on Facebook to confirm location.